Fig. 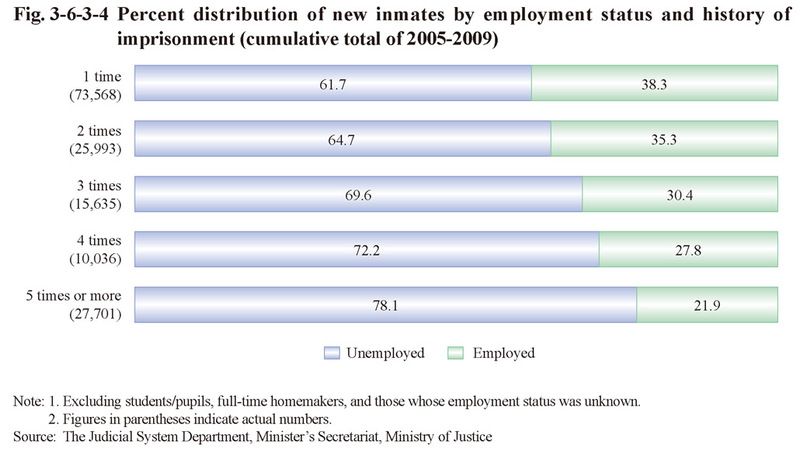 3-6-3-4 shows the percent distribution of new inmates (cumulative total of 2005 to 2009) by employment status and history of imprisonment. The proportion of those unemployed rose as their history of imprisonment increased, with that of those imprisoned five times or more being 78.1%.